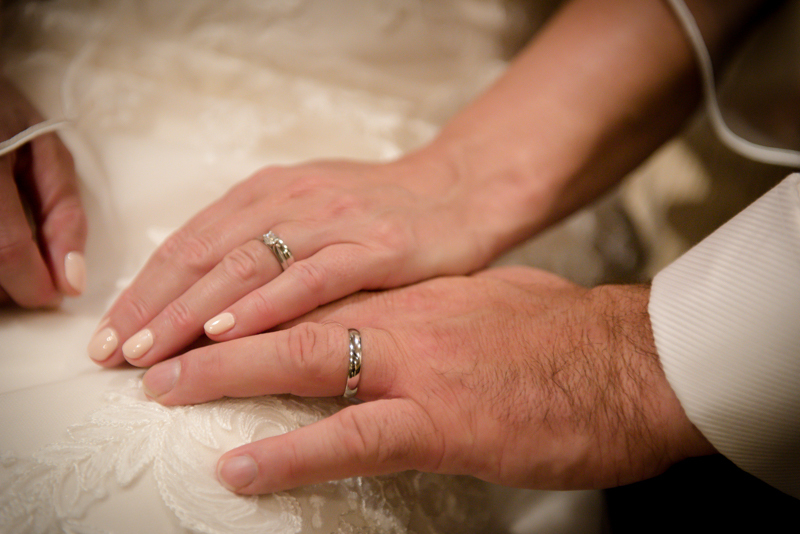 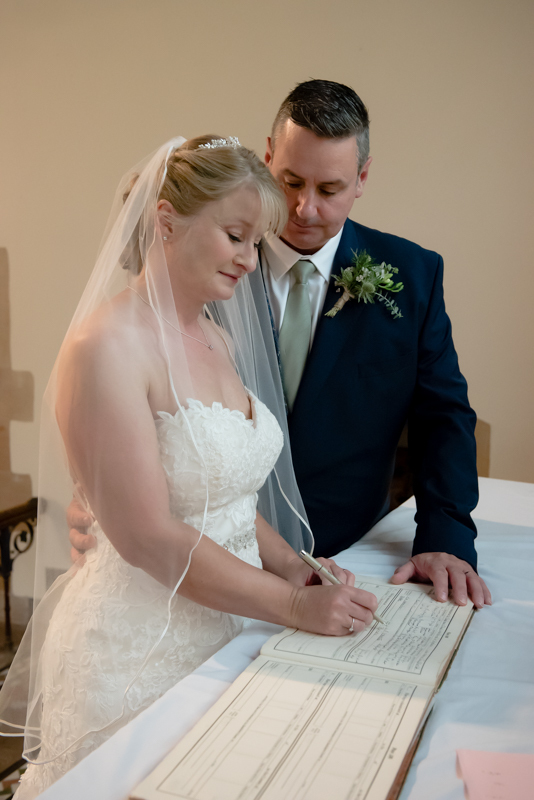 I had the privilege of photographing Kim and Ian’s intimate wedding at the end of August. 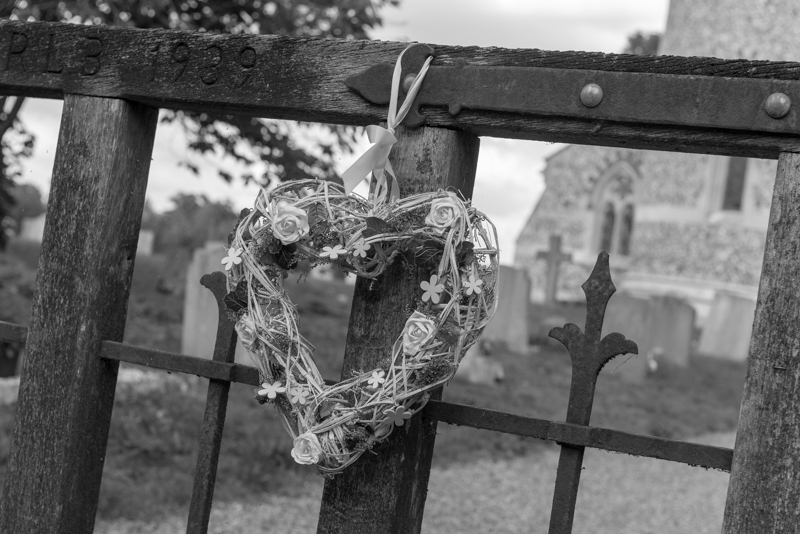 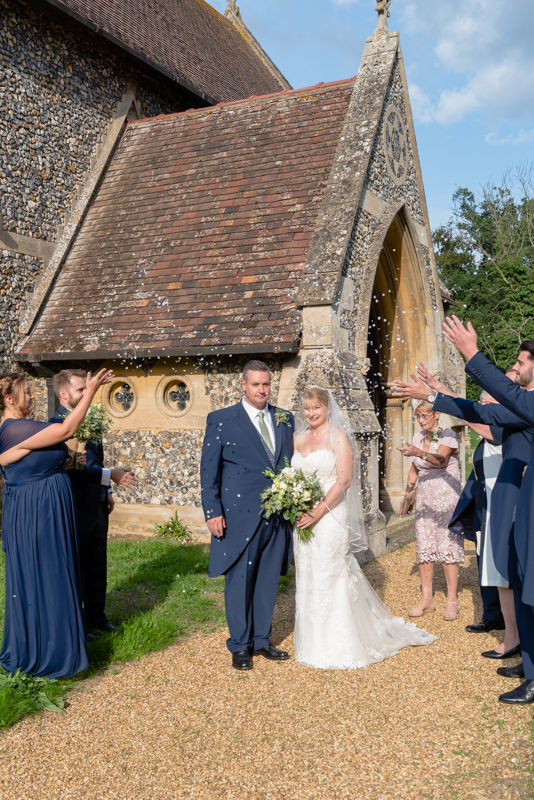 They chose a traditional church service in their home village of Higham in Suffolk for their marriage followed by a cosy reception at nearby Tuddenham Mill. 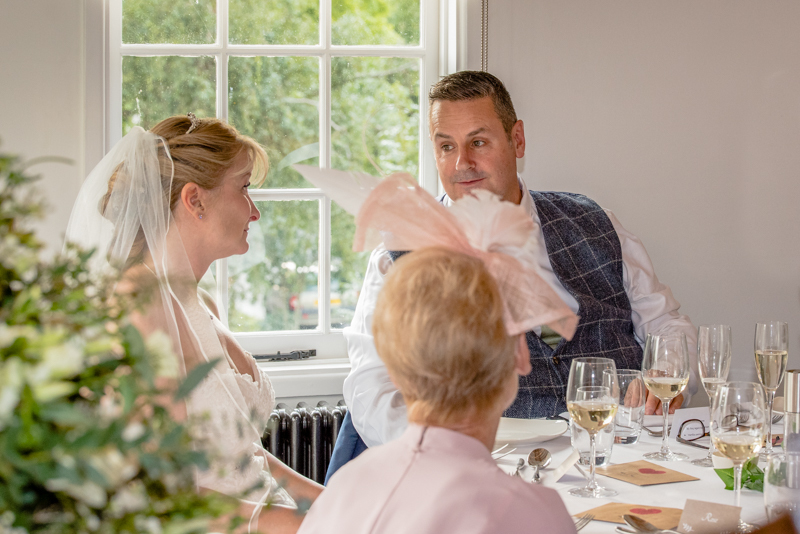 The wedding was lovely and it was clear that they had both put a lot of thought and effort into the day to make it special. 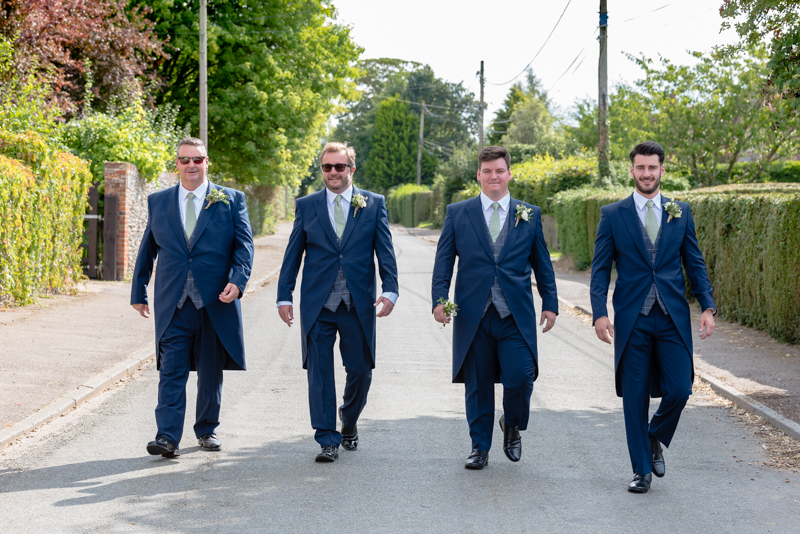 My day began with making sure the boys behaved on their walk to the church from Kim and Ian’s house and that they all got to the church in one piece and in good time – well, you know what lads can be like! 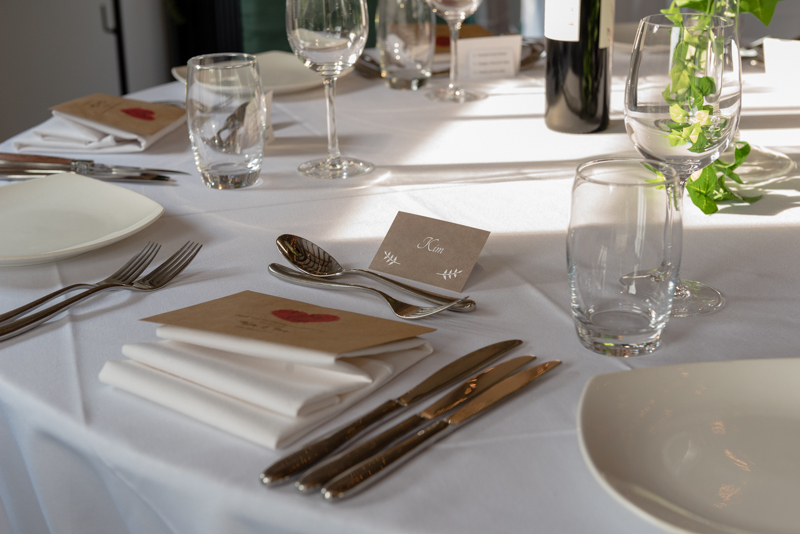 I’m pleased to report that they all got top marks for good behaviour. 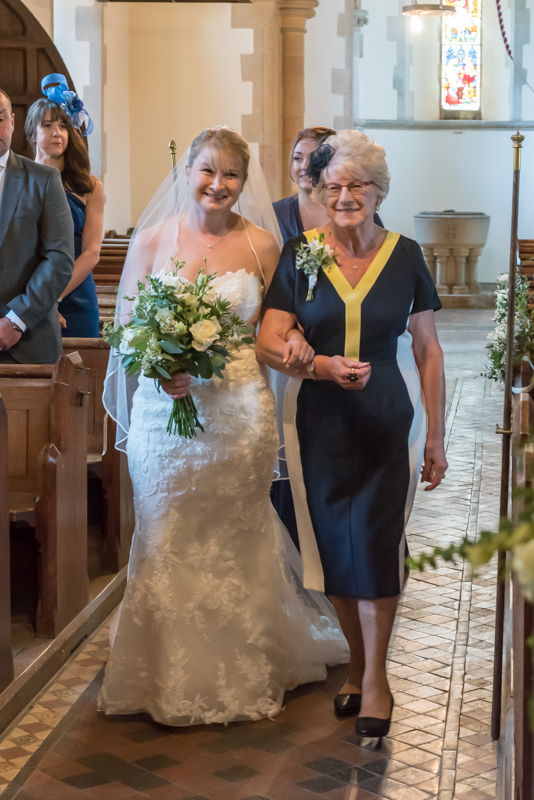 Kim walked down the aisle looking absolutely stunning. 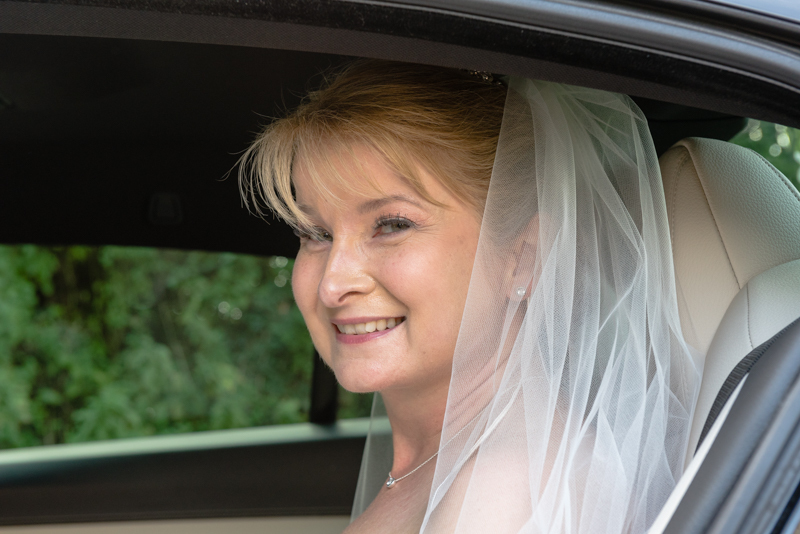 She was accompanied by her Mum and Ian had a tear in his eye when he set eyes on his bride-to-be. 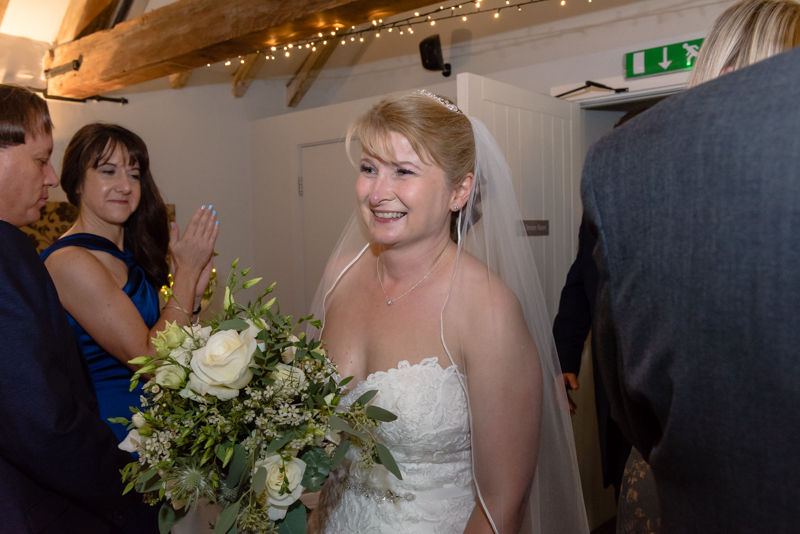 The ceremony was beautiful and after a few photos outside the church with the couple and their guests, everyone made their way to Tuddenham Mill for a drinks reception and sit-down supper. 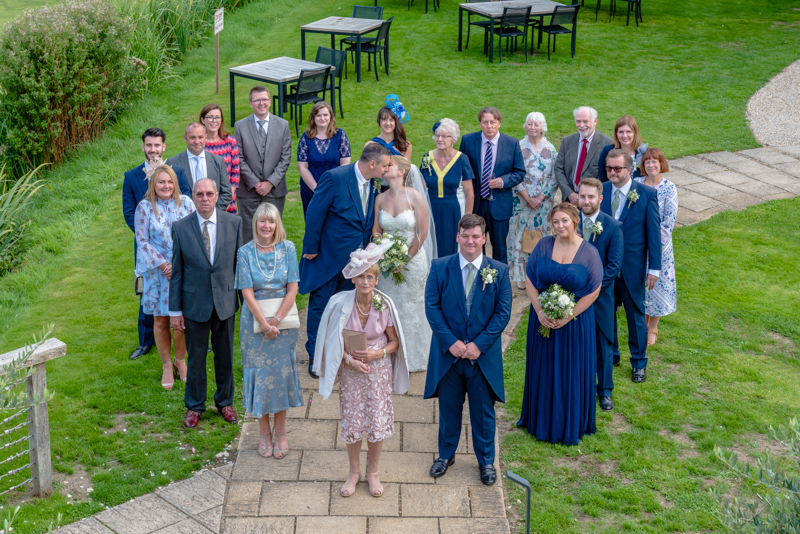 The sun shone and we were able to arrange the group pictures that Kim and Ian had asked for in the grounds of the picturesque converted water mill. 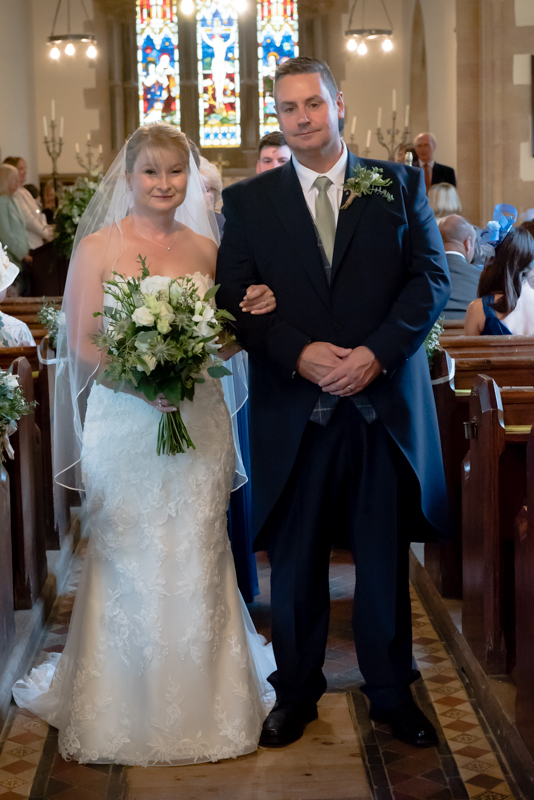 The couple wanted mainly informal photographs as a record of their day, with the groom laughingly saying that if he didn’t know I was there I had done my job properly (he told me afterwards that I had met the brief perfectly!). 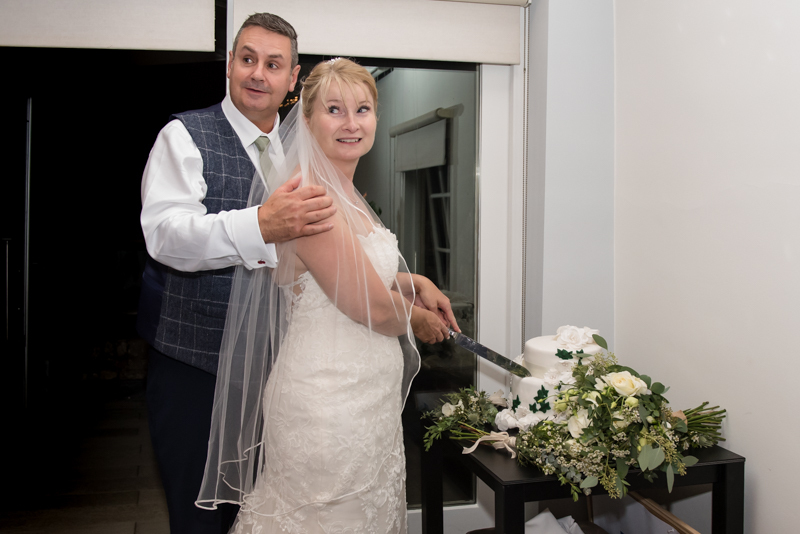 Kim and Ian chatted and laughed with their guests over an informal friendly supper and the celebrations carried on late into the evening. 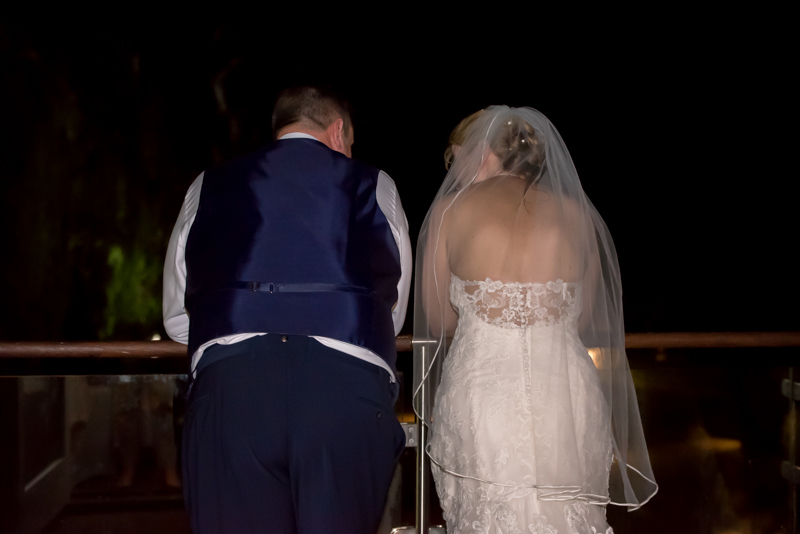 There was a lot of fun, happiness and laughter and everyone really seemed to enjoy themselves. 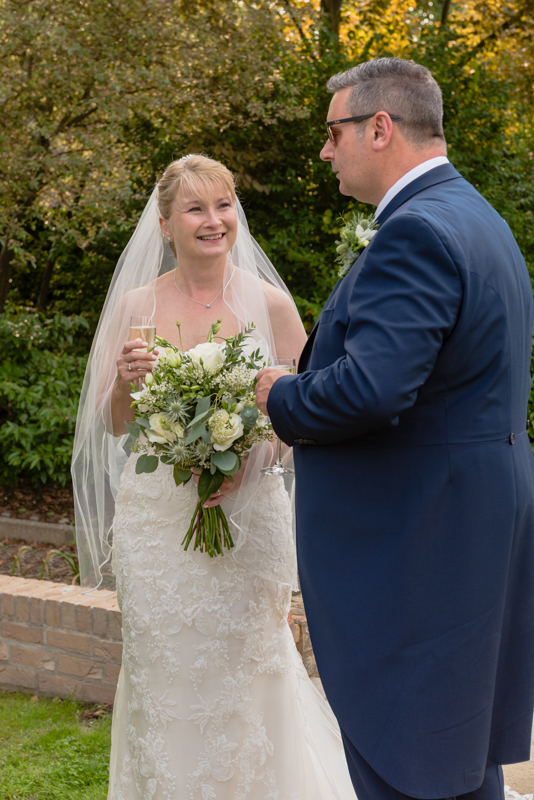 Huge congratulations to Kim and Ian and wishing them both a long and happy life together. 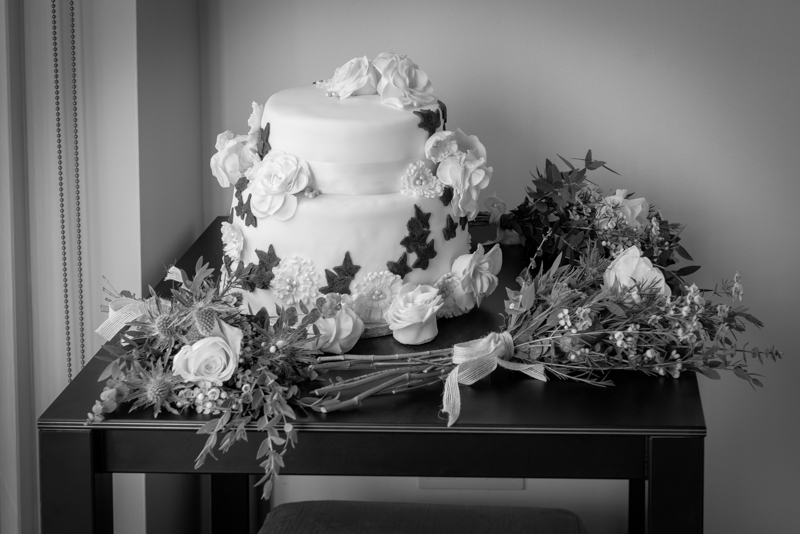 Here is a little glimpse of their special day with a few of my favourite images. 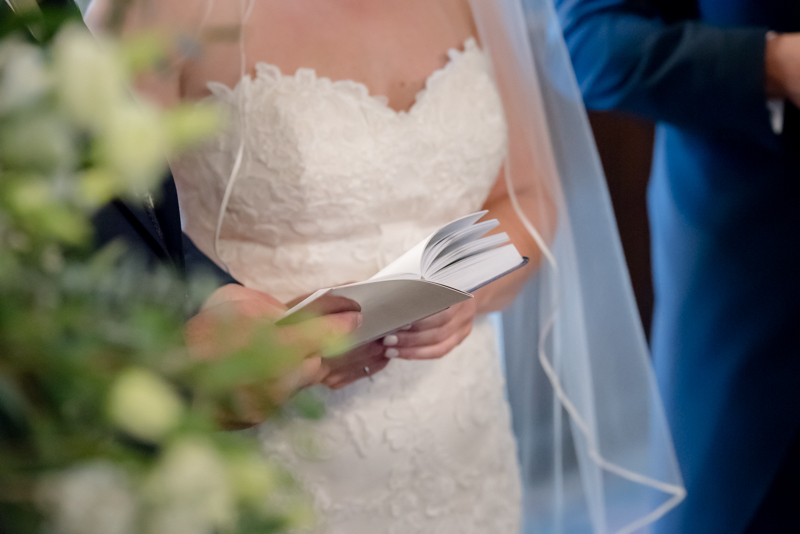 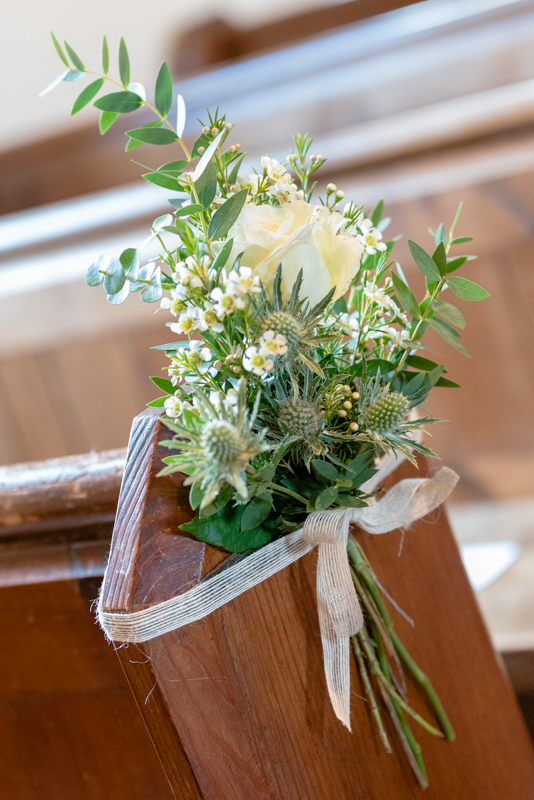 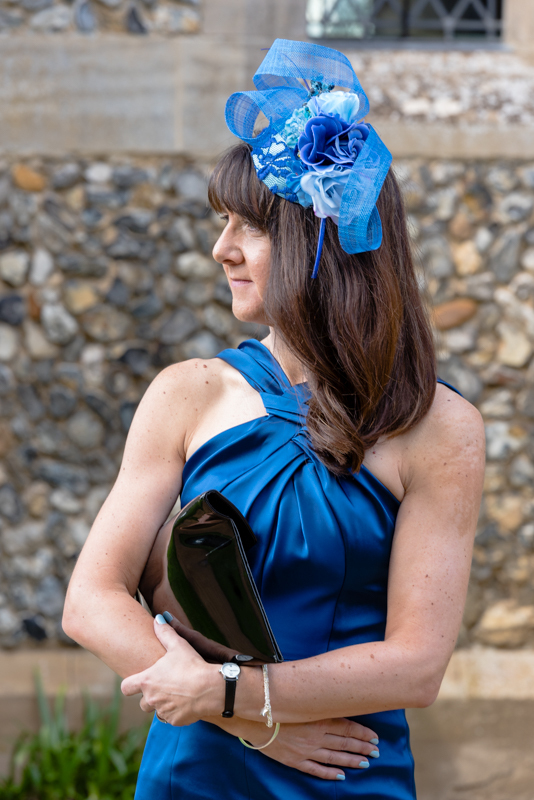 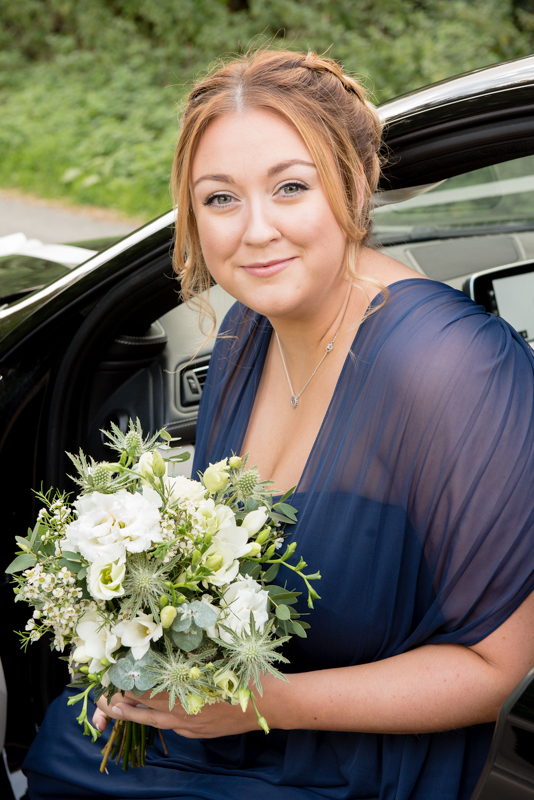 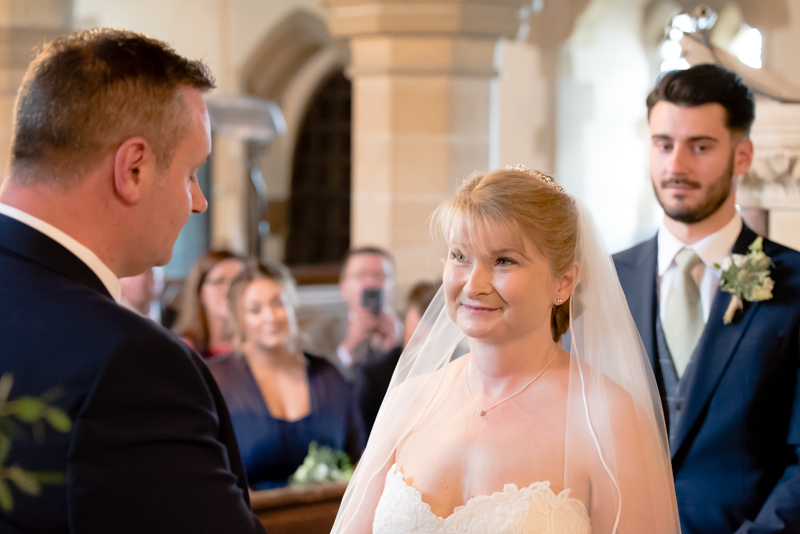 If you are getting married and looking for a friendly, relaxed documentary-style photographer to record your day and make some special memories, please get in touch and we can have a chat about your plans.